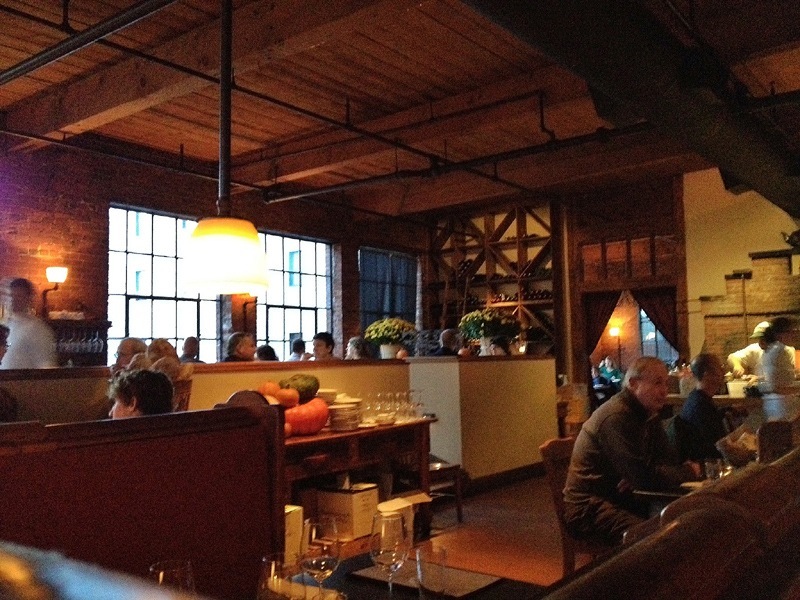 John and I have now been to Fore Street restaurant in Portland, Maine a handful of times. 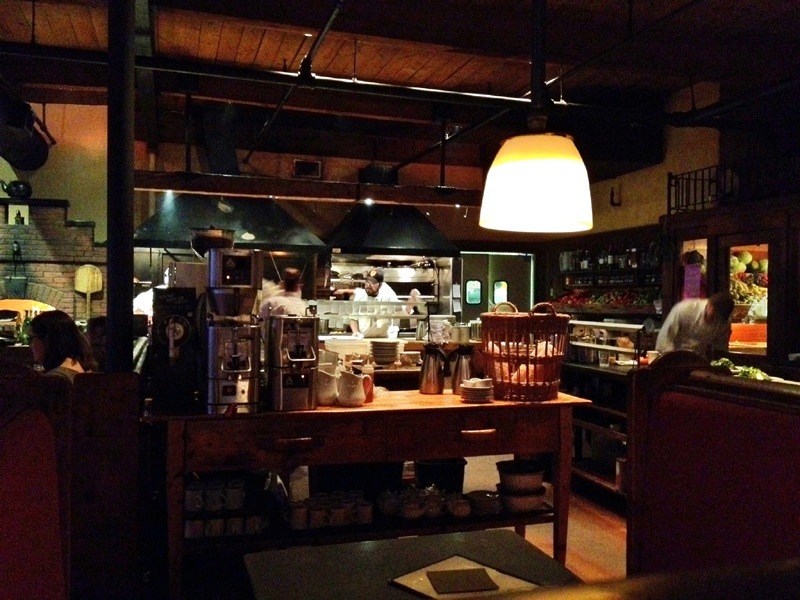 It is one of my favorite restaurants ever and definitely one worth traveling to. 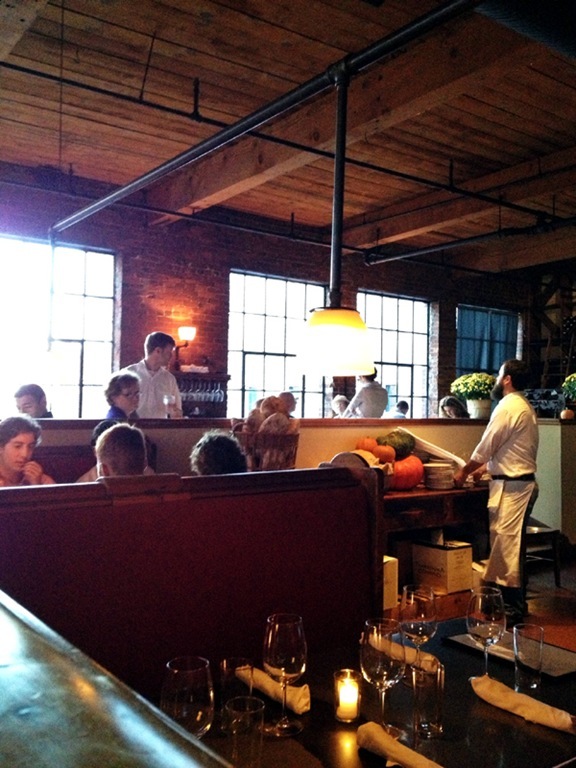 Fore Street prides itself on its farm to table philosophy. Which is not so unique these days unless you’ve been doing it since 1996 like they have. 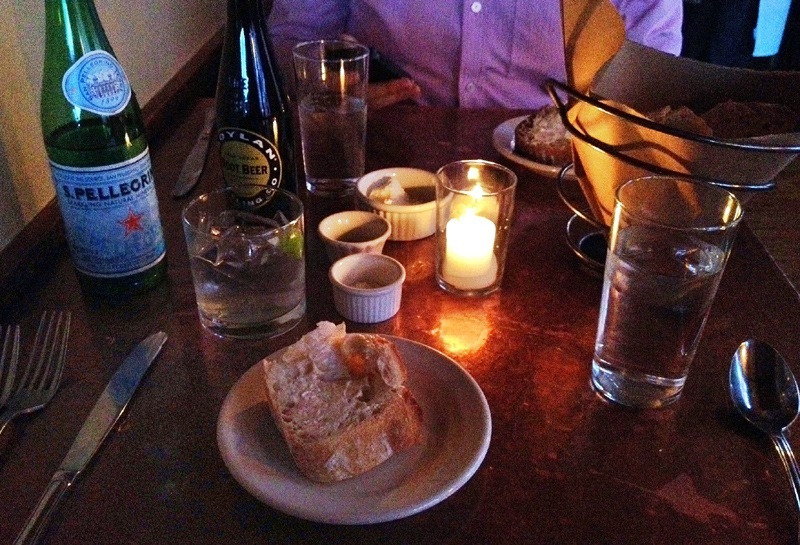 The food at Fore Street is impeccable but the atmosphere is what keeps me coming back. 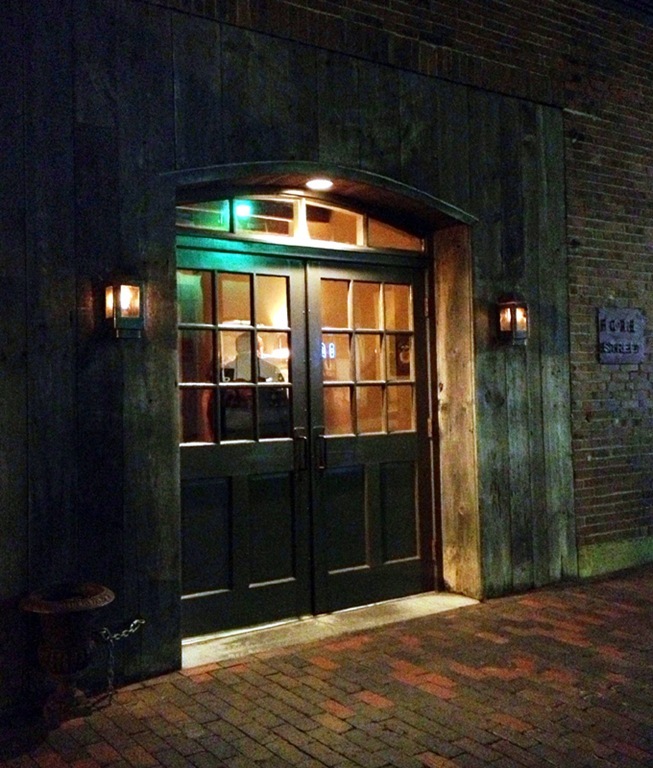 It’s whimsically rustic, cozy, and warm, even in the dead of winter. It’s humble, inviting, completely unpretentious. 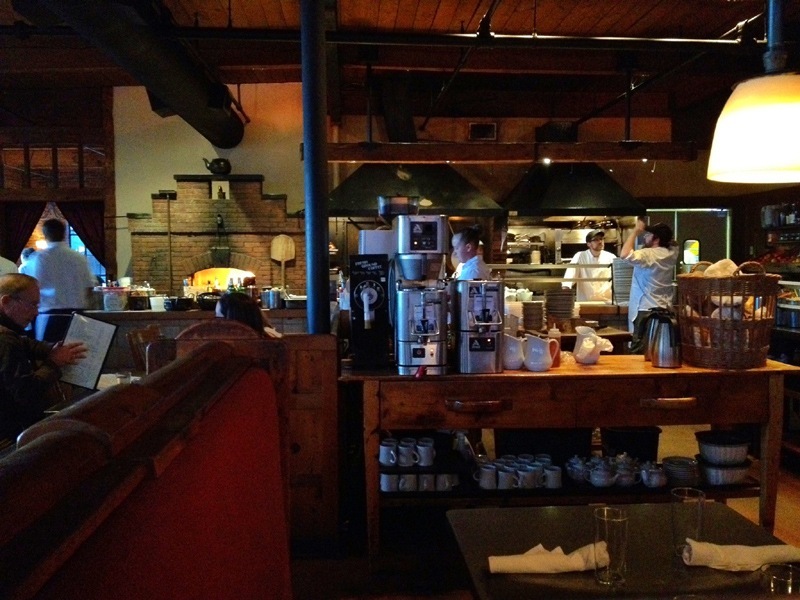 The open kitchen is the focal point of the restaurant as if to say “there is no mystery here, come watch us work, everything you see is everything we are.” The kitchen is magical in its own right; its energy extending to all corners of the restaurant. The ambiance is the perfect compliment to the food philosophy and thus, strengthens the authenticity of the food philosophy. 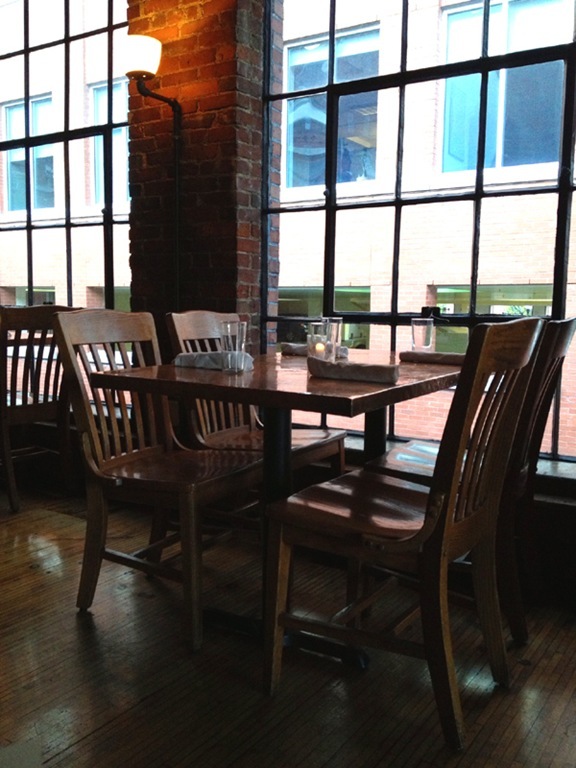 The owners of Fore Street also own the bakery in the adjoining basement, The Standard Baking Company, which supplies their otherworldly fresh baked bread. 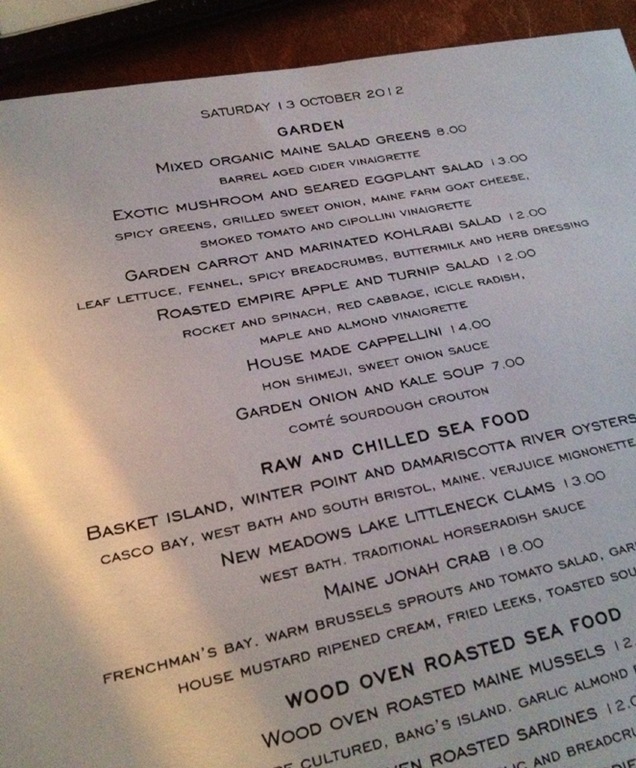 The menu changes constantly based on season and what is available locally. 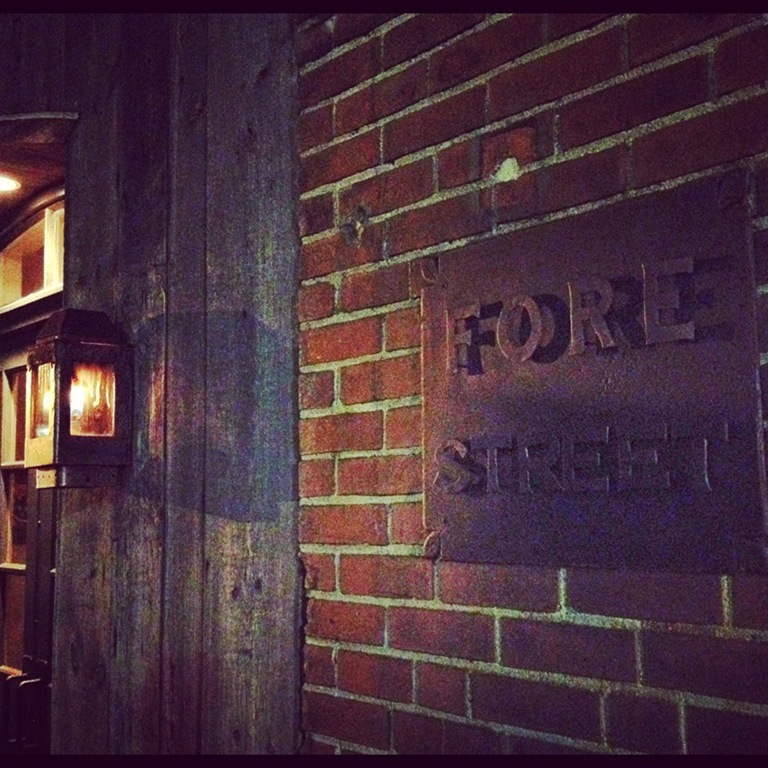 Often times Fore Street will have something extraordinary on the specials list – balsamic salmon, sashimi scallop appetizers, lamb three ways – that run out during their first seating. 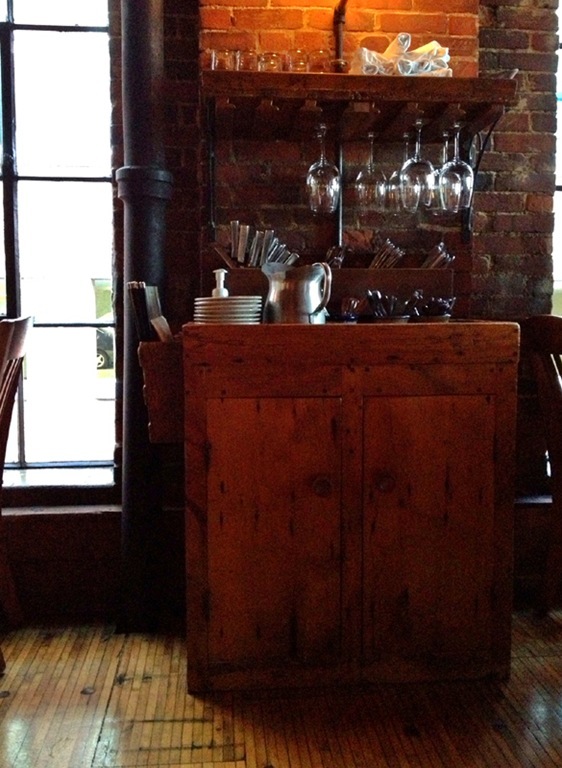 These touches are what make a restaurant one of a kind. The multitude of appetizers are not easy to chose from. 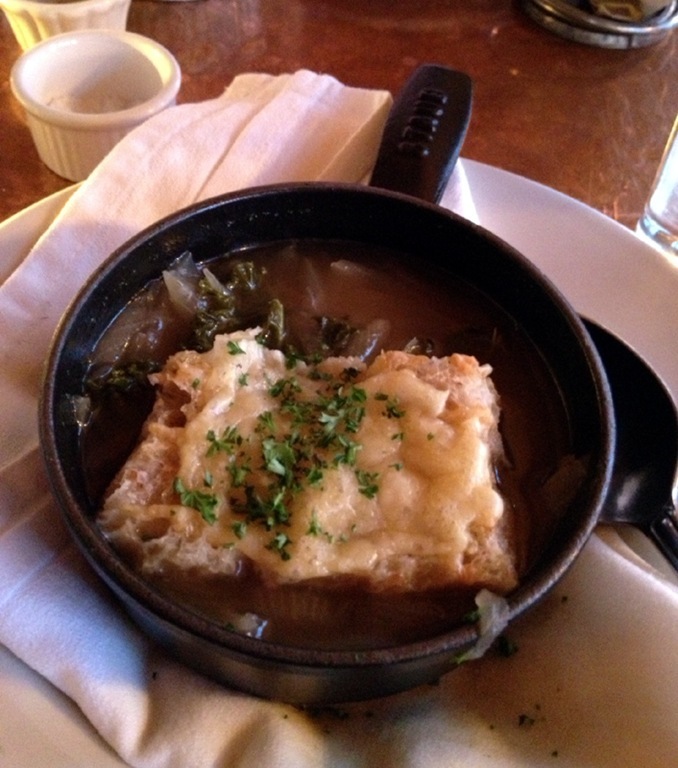 I had the Garden Onion and Kale Soup. It was perfectly Fall: sweet and sour with a deep, rich broth. 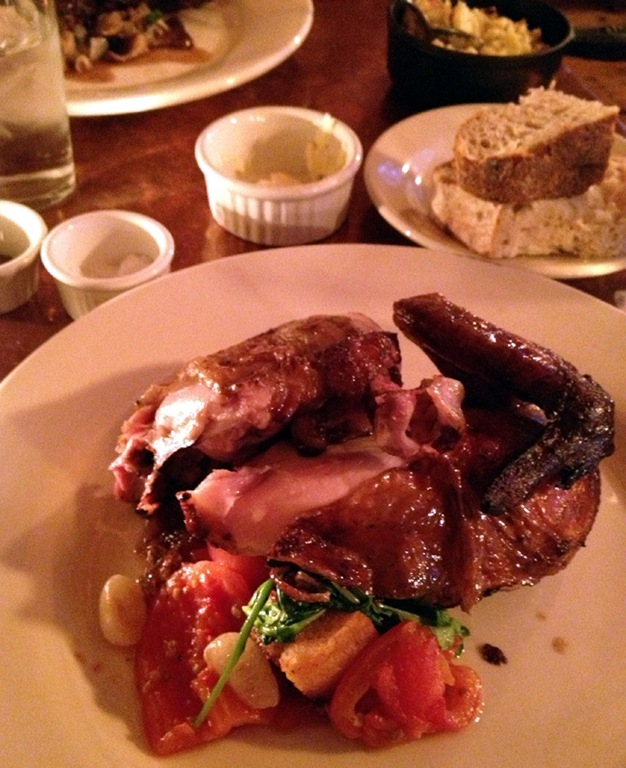 For dinner I had the spit-roasted half chicken. The meat was moist and juicy with the crispiest skin I’ve ever experienced. How do they do it?! 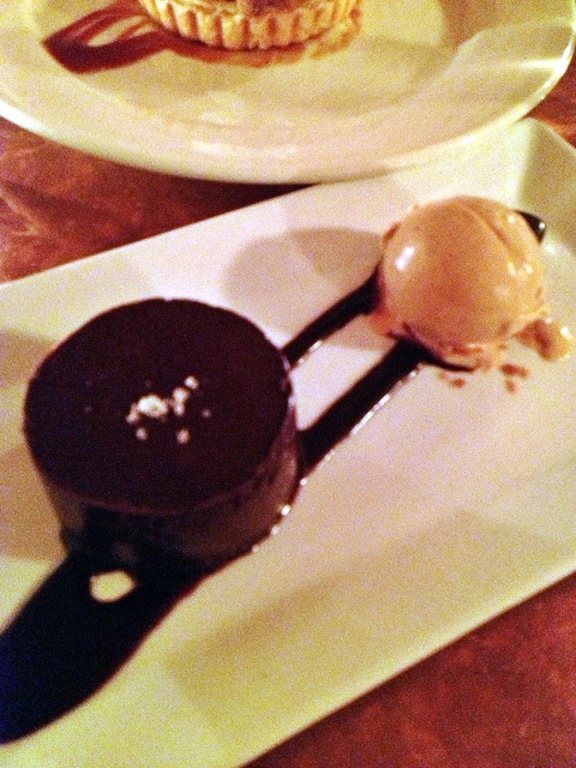 Finally for dessert (it was my birthday dinner, after all) I got the Dark Chocolate Torte with spiced salted caramel ice cream. It was dense and rich, a chocolate lovers dream. 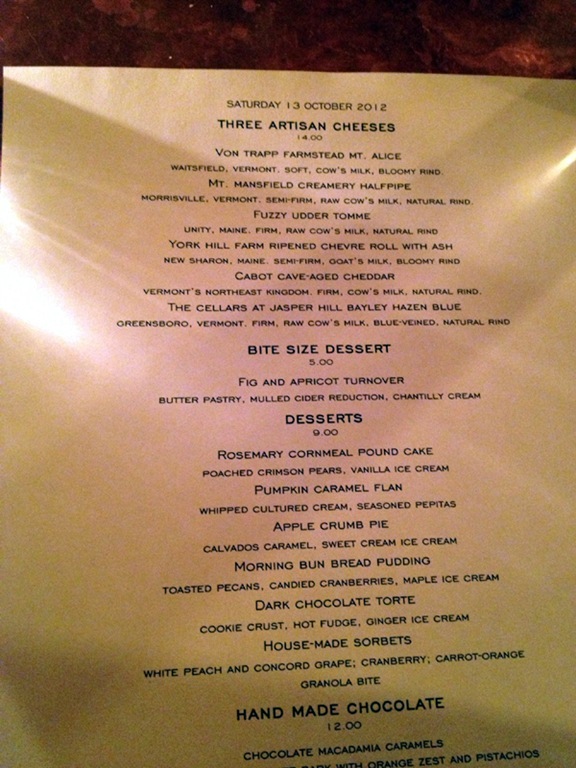 There is no other way I would have wanted to celebrate my 30th birthday then having this fantastic meal with my husband at one of my favorite restaurants in one of the greatest cities in the country. These are the good times, the best of times. What a life. If you want to read more about Fore Street, written with eloquence that inspires me, check out Joy The Baker’s blog post about it from this summer. She also wrote a beautiful entry about the rest of her time in Maine. Give it a read, it’s magical. 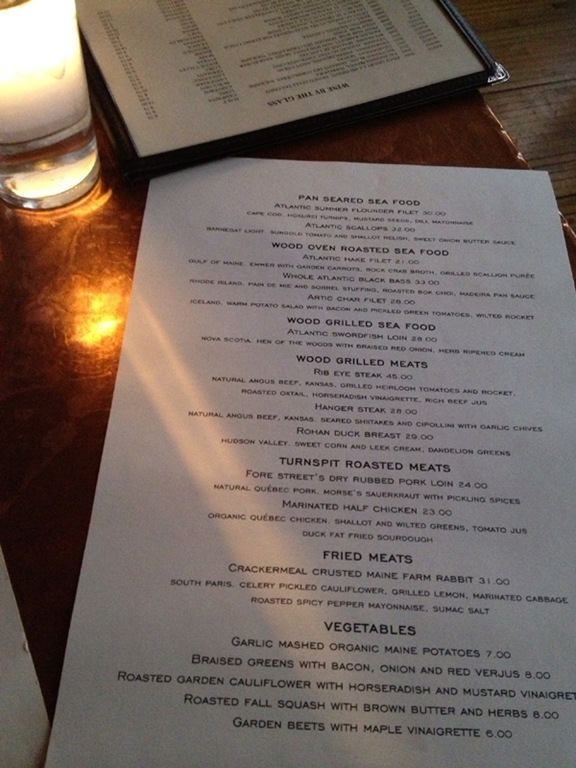 They have enough that a vegetarian wouldn’t go hungry but their menu is primarily geared towards meat-eaters. I love Portland but have not been in a bit. Your post has inspired me to make it happen soon. Happy belated birthday. Not sure how you feel about turning 30 but I can say they are fantastic. It is where I found my voice and have not shut up since. I’m excited about 30 – I have a lot to be proud of and thankful for, it can just get better from here!